Pasadena is famous for the tiny cottages ‘grandfathered’ into the back of properties in neighborhoods reserved for single-family dwellings. My daughter and son-in-law do not have one of those cottages, which is why I visit in Ramsey. This time I upgraded from parking him on the street to shimmying my way up the driveway to park in the backyard. 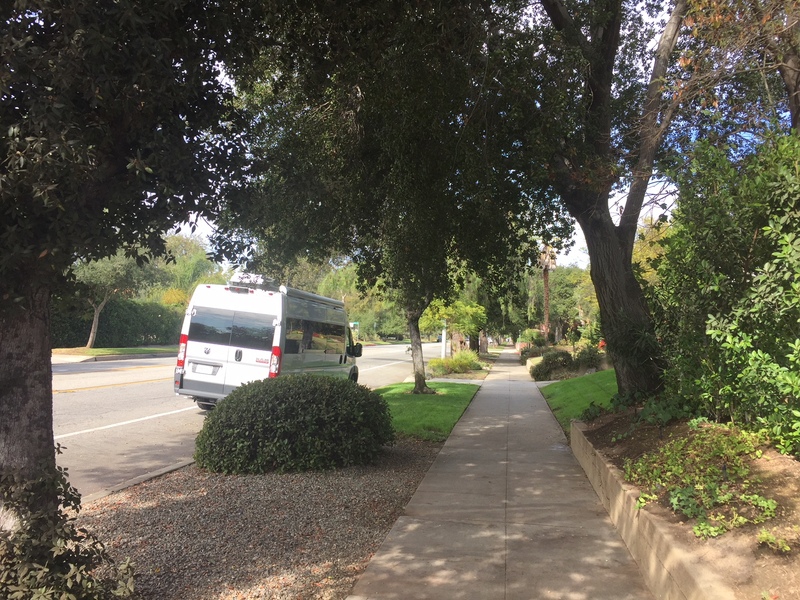 It was a tight squeeze, but worth it — quieter and a safer walk to my front door for my tiny grandsons. For eight straight days, my family and friends banned me from their presence. 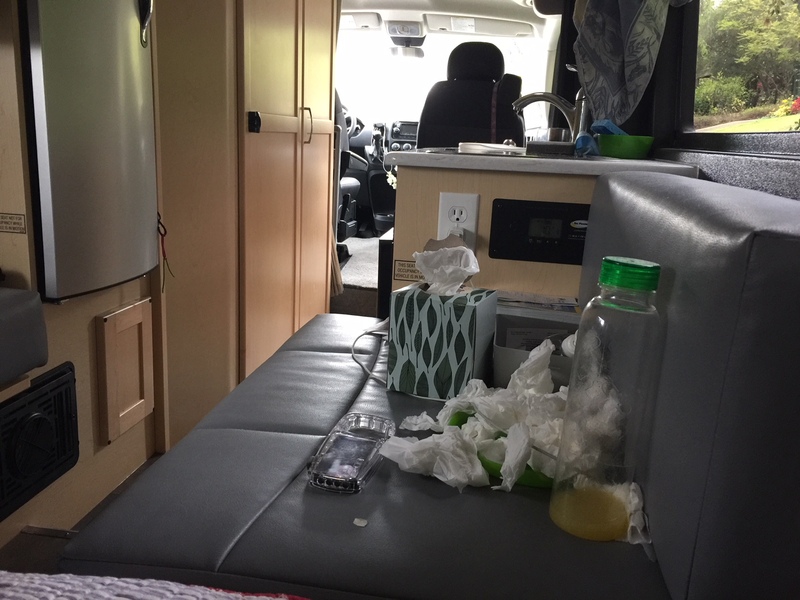 The day after I drove to Southern California to spend the weekend with my fellow RVers in Indio, then a week with my grandsons in Pasadena, I came down with a very bad cold. Kaiser claimed it was not the flu or strep because of the low-grade fever. I lay in Ramsey. 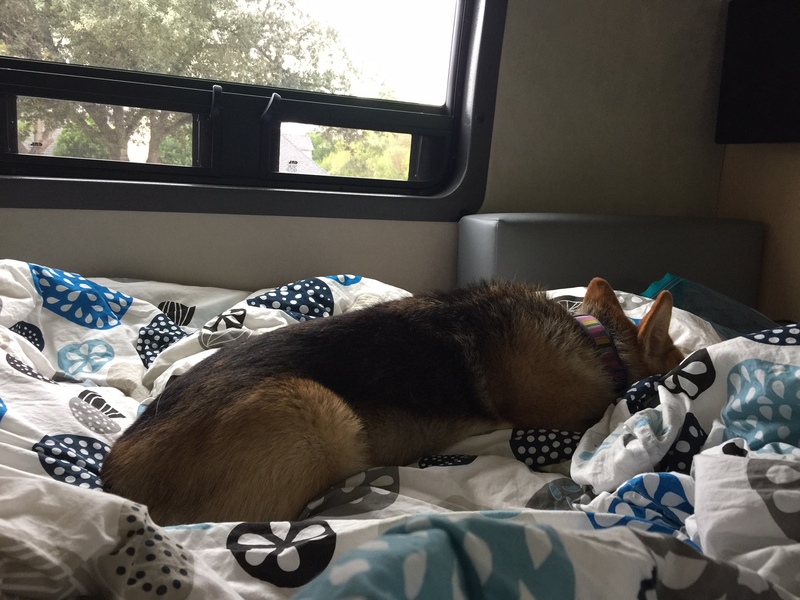 Thank goodness dogs don’t catch very bad colds. Annie curled up at my feet. Indio was quiet. The air was beautiful, and birds chirped constantly. My biggest disappointment was missing the pickleball. I had been taking lessons for weeks in preparation. I had even purchased my own paddle and balls. On Sunday I felt well enough to drive through Joshua Tree National Park on my way to Pasadena (see separate blog). Joshua Trees can’t catch very bad colds. I wasn’t as strong as I thought and on Monday I couldn’t move. For the next six days, with my daughter’s resident parking pass stuck to my front window, I lay in cozy Ramsey and felt sorry for myself. My daughter lives on South Lake Avenue two blocks away from the commercial district. 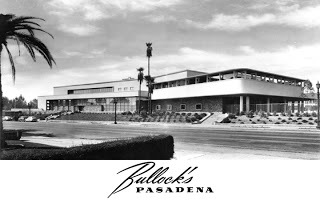 When I was a little girl in the early 50s, South Lake was a fashionable shopping center dominated by the architecturally gorgeous and elegant Bullocks Department Store and her sister, I.Magnin. When my grandmother took me shopping there, we wore gloves. When I was a young adult, I envied women who could afford to shop at Gene Burton’s just south of I.Magnin. Shoppers took a rest sipping a peppermint soda or eating lunch at Blum’s. The fashionable purchased gifts, such as French Quimper Ware and hand-hemmed handkerchiefs, at Port O’Call across the street. Today, Macy’s occupies the Bullock’s building. The modern Macy’s typography does not sit well like the handwritten script for Bullock’s did. Paint peels from the building. A huge chunk of white concrete packed with stores and markets dominates the street corner and blocks the view of what was once a gracious entrance to the Bullock’s building. I.Magnin is a Barnes & Noble. A Ross for Less dominates everything else. What happened to city planning?